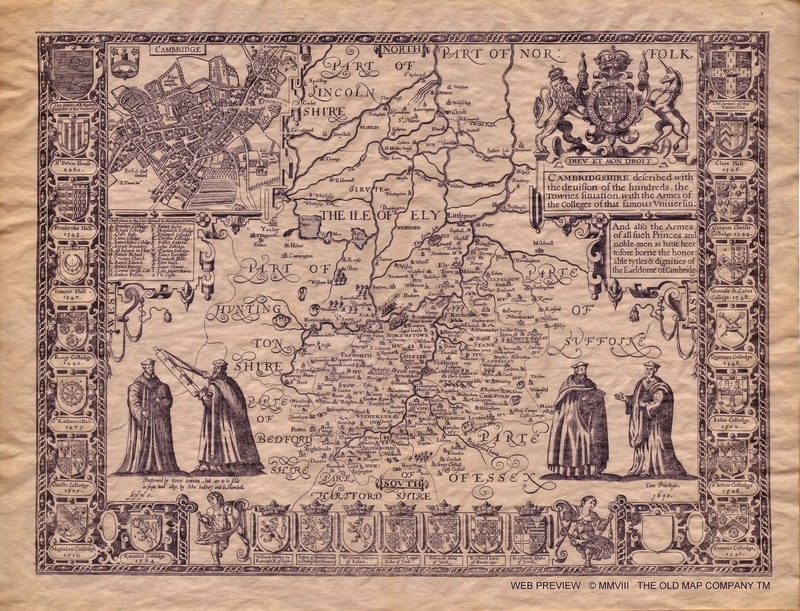 “John Speed – Map of Cambridgeshire – 1610 – 001” by John Speed – http://www.oldmap.co.uk. Licensed under Public domain via Wikimedia Commons. 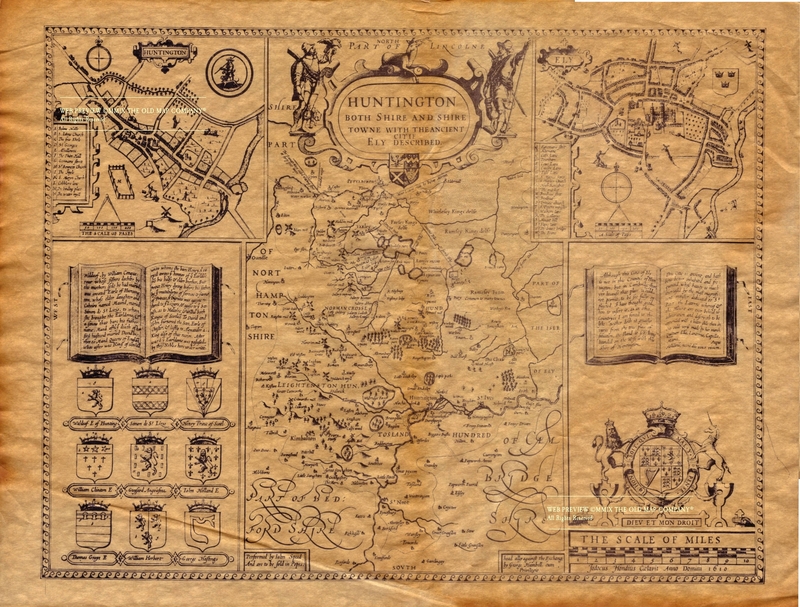 “John Speed – Map of Huntingdonshire – 1610 – 001” by John Speed – http://www.oldmap.co.uk. Licensed under Public domain via Wikimedia Commons. 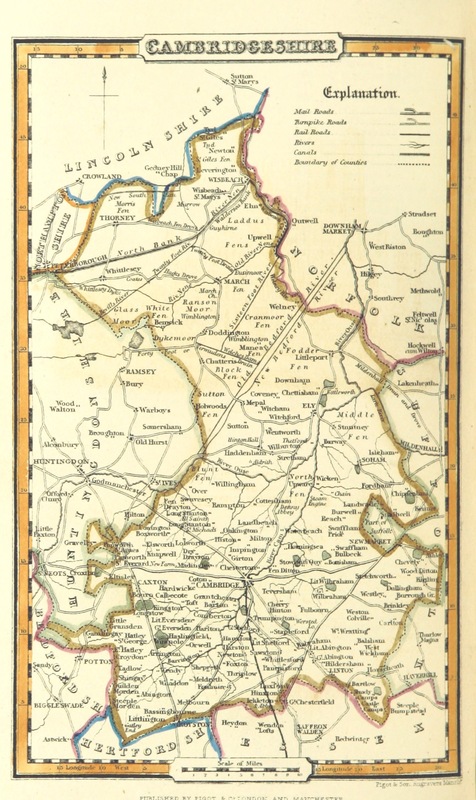 “Pigot and Co (1842) p2.280 – Map of Northamptonshire” by Image extracted from page 280 of volume 2 of A Pocket Topography and Gazetteer of England. 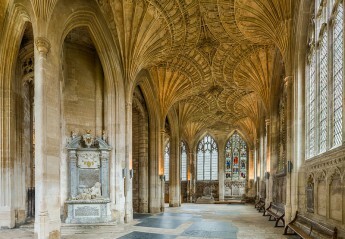 … Illustrated by maps of the English counties, and vignettes of cathedrals, etc, by James Pigot and Co. Original held and digitised by the British Library. This file is from the Mechanical Curator collection, a set of over 1 million images scanned from out-of-copyright books and released to Flickr Commons by the British Library. Public domain via Wikimedia Commons. 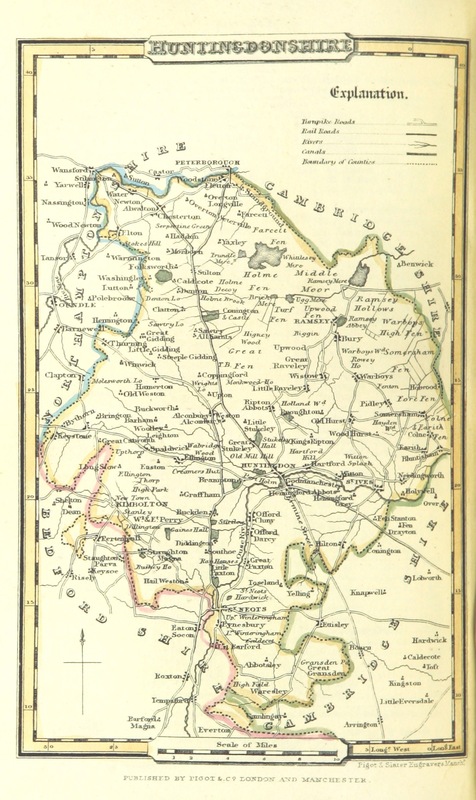 “Pigot and Co (1842) p1.304 – Map of Huntingdonshire” by Image extracted from page 304 of volume 1 of A Pocket Topography and Gazetteer of England. 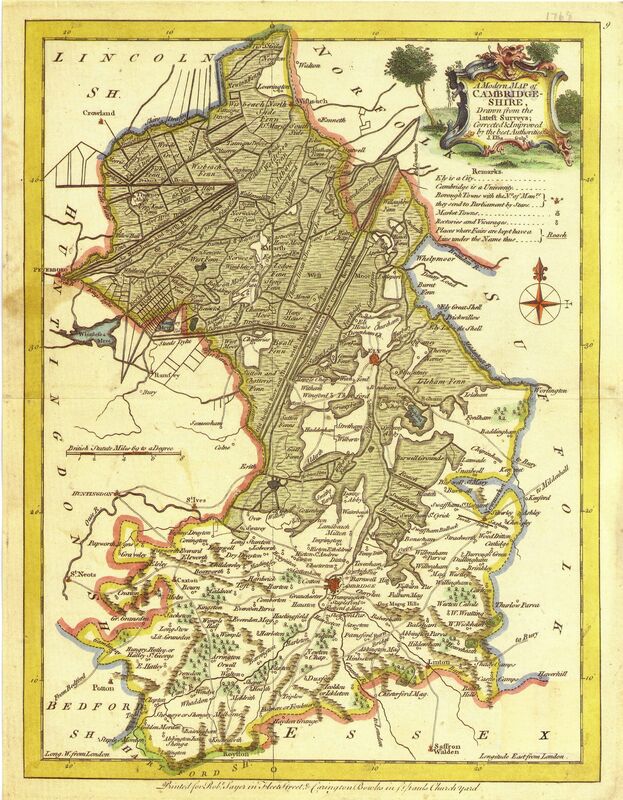 … Illustrated by maps of the English counties, and vignettes of cathedrals, etc, by James Pigot and Co. Original held and digitised by the British Library. 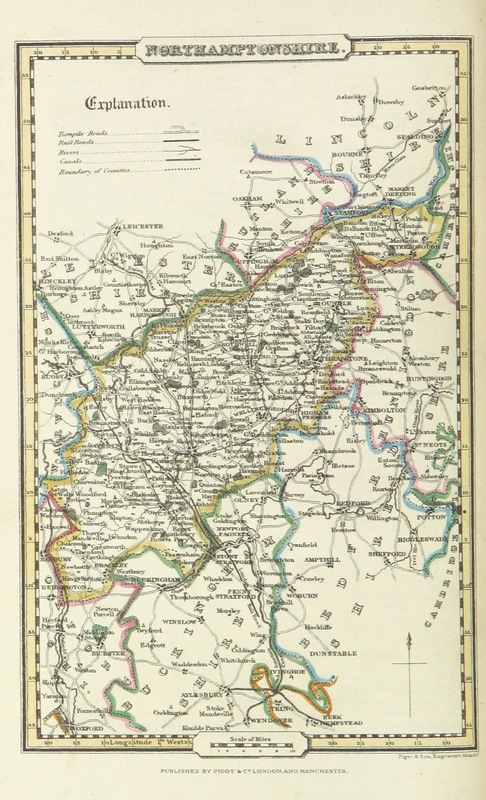 This file is from the Mechanical Curator collection, a set of over 1 million images scanned from out-of-copyright books and released to Flickr Commons by the British Library.View in BL GeoreferencerView image on FlickrView all images from bookView catalogue entry for book.Licensed under Public domain via Wikimedia Commons.